Did you see the Strawberry Moon? Strawberry Moon rising over Chicagoland, Monday, June 4, 2012. Chicago missed the partial eclipse of the Moon because of clouds this morning before sunrise and during moonset, but Monday night’s moonrise was spectacular. There was a tint of strawberry. 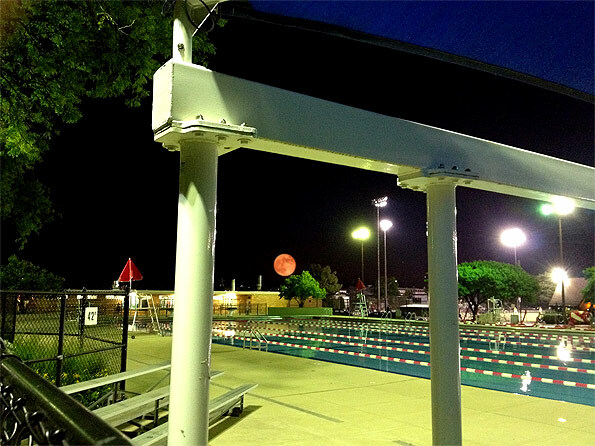 Recreation Park pool staff were in awe of the Full Moon rising over the east end of the swimming pool Monday night as they prepared to close for the night.